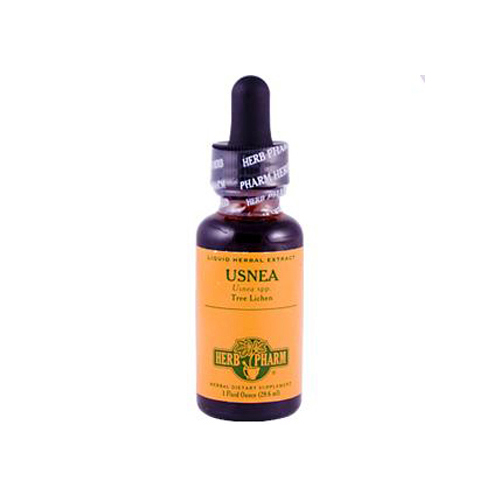 We prepare our Usnea extract from various species of Usnea lichens which have been Custom Wildcrafted from wild oak trees. To assure optimal extraction and concentration of Usnea's usnic acid and other bioactive compounds, we custom extract the lichens with our special double-extraction process. Take 30 to 40 drops, 2 to 5 times per day. Topically apply full-strength (if well tolerated), or dilute with 1 to 2 parts water. As gargle mix drops in a little water and gargle several times per day. As nasal spray mix 15 to 25 drops in half-cup saline solution and use 2 to 4 times per day. Ingredients: Certified organic grain alcohol and usnea extractives.